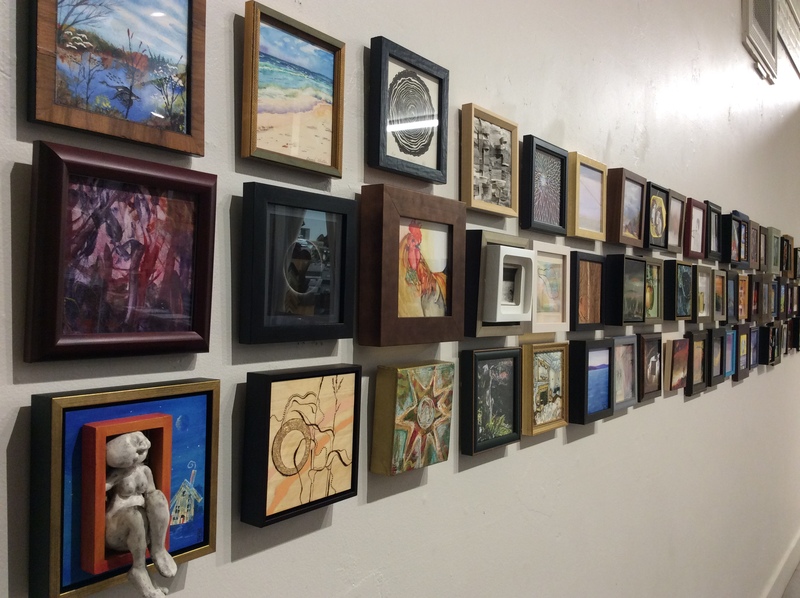 The 7th Annual Small Works Show is here! 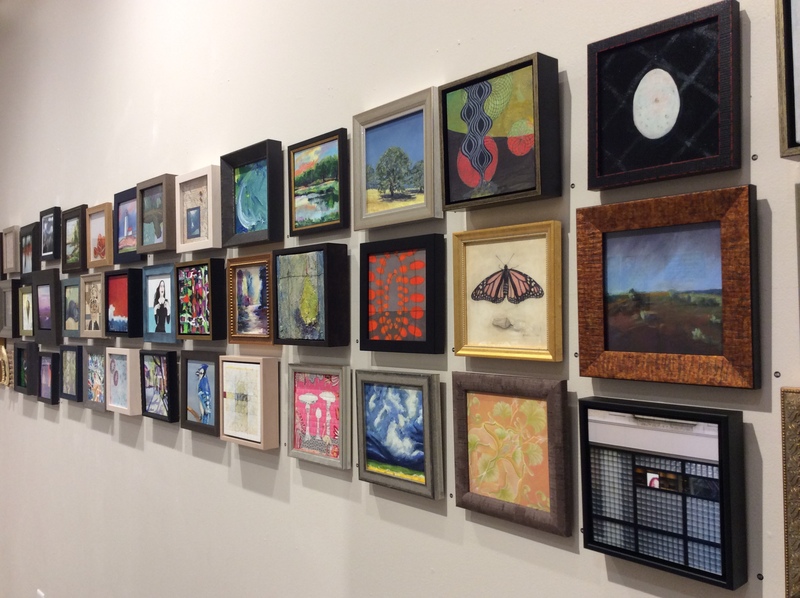 Featuring over 200 works by local artists -- all 6x6". From paintings to photographs, illustrations to assemblages and more, the show features works in wide variety of mediums. All cash-and-carry! Please join us on Thursday, December 7th, during Amherst Arts Night Plus, 5-8pm, for the opening reception and our Holiday Pie Party. Celebrate art and the season and join us for pie and spiced cider, and hang out with some fabulous local artists! A reception and art raffle will follow on Thursday, January 11th, 5-8pm. Join us for a chance to win one of the small works, winner's choice! NOTE: We're postponing the reception & art raffle due to the impending storm on 1/4. This event and Amherst's Arts Night Plus are postponed until Thursday, 1/11, 5-8pm. Stay safe everyone, and hope you can join us on 1/11! Raffle details: you can fill out a raffle ticket now at the shop, until January 4th! One ticket per person. Drawing will happen at 7.15pm, you must be present to win. A big THANK YOU for showing your wonderful small works in our gallery! It’s been a pleasure to show your work, and to meet so many of you. Payment: we cut checks for sold work and notify artists via email in three batches. Some of you have received payment already. The next batch will go out after January 1st. The third batch will go out shortly after the end of the show. Unsold works will be available for pick up January 15-31, during business hours. If your piece sells by the end of the show (the 13th), we'll let you know so you don't have to waste a trip.